To perform the test one will need only one drop of biological material*. It is over 100 times less than in traditional PCR solutions! *One drop of biological material will be utilised for mutation detection. In order to achieve high specificity of infection detection 200 microliters of sample will be utilised for analysis – this is equivalent of 4 drops of blood. Tests performed with the Genomtec ID analyzer will not require prior preparation of the test material – which significantly reduces both the time and costs of testing. 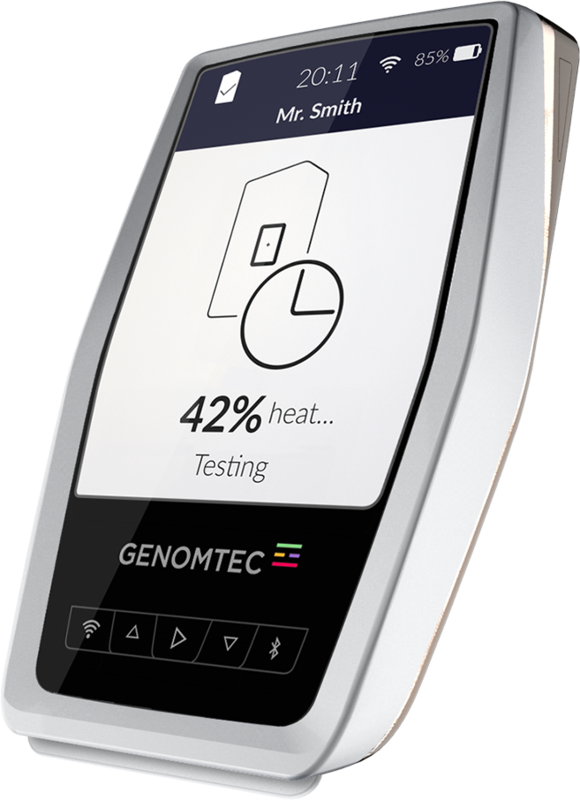 Carrying out tests using the Genomtec ID analyzer will also not require the user to have any diagnostic or laboratory experience.